Sylvia Plath (October 27, 1932 – February 11, 1963) was an American poet, novelist, and short-story writer. 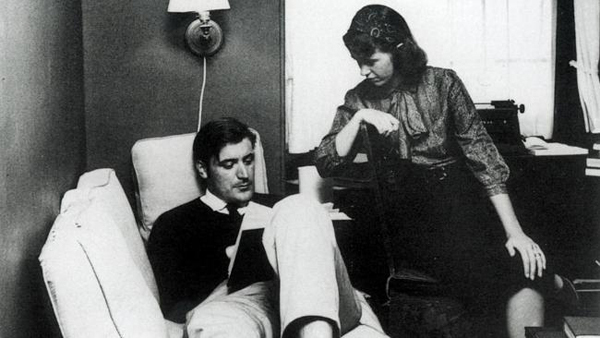 Born in Boston, She married fellow poet in Ted Hughes in 1956, and they lived together in the United States and then in England. They had two children, before separating in 1962. She died by suicide in 1963. Ted Hughes (17 August 1930 – 28 October 1998) was an English poet and children’s writer. Critics frequently rank him as one of the best poets of his generation, and one of the twentieth century’s greatest writers. He served as Poet Laureate from 1984 until his death.